I know for a fact everyone on this blog has had a dream once in life. Even if you cannot exactly remember the context of each dream you’ve had, you at least remember it happening. Some of you may even remember one specific dream that has stuck out to you for some time now. Have you ever wonder the purpose of dreams in life? Are they in any way related to our real lives, and if not why do we have them? It’s become so normal to have dreams that our society has embraced the idea. The word itself can mean so much more than something that happens in your sleep. But is this also in any way a sign that our dreams relate to our lives? There are many different types of dreams, some seem very strange once remembered. Others may involve people from our lives. This is why the question posed begins to get so interesting. Do we dream about people in our lives that are important? Do the things that happen in these dreams really foreshadow some future events? Another question to think about is, are we just thinking about things too deeply, and dreams mean absolutely nothing? This is explore here in this article. 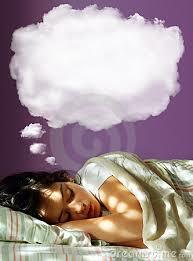 The article even begins to hypothesize that remembering our dreams attaches us to the idea of them. Meaning that by remembering our dreams, we are more likely to continue dreaming. It is sometimes relevant to life what some people dream about. For example, if someone has a loved one who’s passed away, they will be heavy on that person’s mind, further causing them to dream about that person. That is something we can stomach the idea of, but something out of the blue and extreme during a dream may leave us wondering the purpose. Sometimes dreams can be frightening, even emotional for some people. What would our minds be so focused on while we are resting that could cause one to wake up frightened or sad? The following article explores the rather interesting realm of nightmares, and their significance. It is such a problem in our society that people even question if there is a higher spirit causing these dreams. This all brings the question posed to a new light. A light that maybe there is a deeper explanation for dreaming other than our brains regrouping after a long day. When asking the question posed, it ultimately depends on whom you ask. Some people will directly relate dreams with spirituality, and others will go the scientific route, explaining that dreams have no real relevance and that our brains are simply “sorting things out”. But who’s to say what’s right and whats wrong? The question posed has yet to be answered and it is very difficult for some people to grasp. We may never 100% know why we have dreams, and it also may be one of those things that just cannot be explained. This entry was posted in Uncategorized on September 16, 2016 by Taylor M Stewart. I have always wondered that same question. So often I’ll wake up from a dream and wonder what it meant. Something that happens to me every now and then is something called sleep paralysis, which is crazier than any dream I’ve had. Here’s an article on it. This is a great post because I think you brought up so many questions that most people think about at some point in their life regarding dreams. I always find myself dreaming about personal and relevant things that are going on around me, but I thought it was interesting how you mentioned the random or scary dreams! Hey Taylor, Great Post! I did a little bit of research about dreams on my own and i found this video. I found it very interesting that when scientist experimented on mice, those mice who were not able to obtain Rapid Eye Movement (REM) sleep were worse at remembering things. Its a cool video, you should check it out!